Chemesis International Inc. is a vertically integrated global leader in the cannabis industry, with operations in California and exploring expansion through Latin America. Chemesis is developing a strong foothold in key markets, from cultivation, to manufacturing, distribution and retail. Chemesis has seed to sale operations, allowing for cost-effective production and distribution of its products. In addition, Chemesis leverages exclusive brands and partnerships and uses the highest quality extraction methods to provide consumers with quality cannabis products. 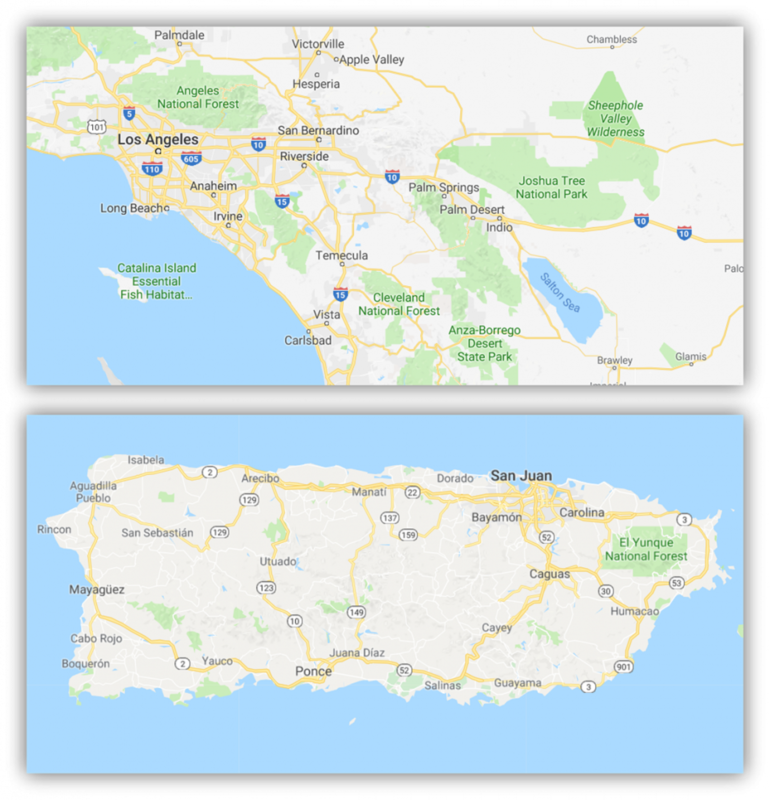 Starting with our state of the art grow facility in Puerto Rico, which showcases a 2000+ grow light capacity and a 30,000+ lb overall grow capacity, Chemesis has multiple expansion opportunities currently under review in both Puerto Rico and California. Chemesis is in sync with distributors around the world. With new regulations impacting the California market, we will emerge as a fully compliant first mover. In the Puerto Rico market, Chemesis has an established presence serving the entire island from seed to sale. Chemesis is currently retailing exclusive products in Puerto Rico and actively engaging retail storefronts in the California market. In addition, Chemesis is working to open exclusively branded shops in multiple marketplaces. Chemesis specializes in, and has invested in the equipment for, multiple extraction processes – BHO Extraction, Alcohol Extraction, CO2 Extraction, and others – and currently has the capacity to process over 2000lbs of raw material per day. California Sap is one of the most rewarded companies in the cannabis industry today. Known for their experience, their purity, and their incredible products, Chemesis is excited to offer this exclusive brand. Natural Ventures, our operations headquartered in Puerto Rico, holds strategic partnerships with an expanding number of leading brands in the cannabis industry spanning across multiple countries. SAP Global is a state-of-the-art production facility located strategically in Cathedral City, California. The facility is able produce high quality legally compliant cannabis products for distribution in California. 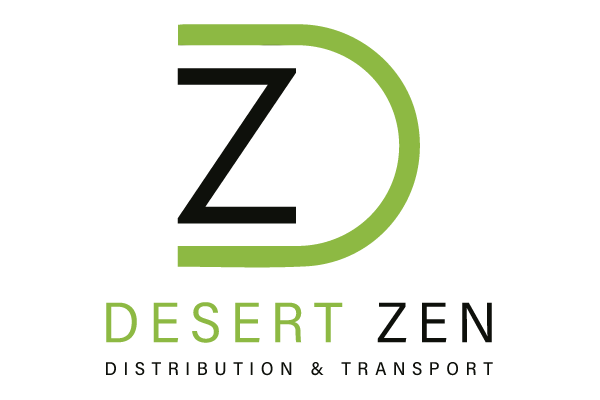 Desert Zen Distribution & Transport, headquartered in the Coachella Valley, is all your California cannabis distribution needs under one roof. Data provided by Chemesis International Inc.
Chemesis International Inc. has entered into a binding letter of intent (LOI) to acquire 100 per cent of Colombia-based La Finca Interacviva-Arachna Med SAS, an integrated cannabis company that has been licensed and operational in Colombia since October, 2017. La Finca has access to over 1,000 acres of outdoor cultivation land and is aggressively exploring opportunities to expand. It is a founding member for the “Association for the Promotion of Hemp Growing,” a non-profit entity that is concentrated on providing education and promoting the expansion of cannabis plantations, while ensuring the growth of high-quality crops through technical advice. The company’s cultivation program is based on a decentralized model with partner farmers throughout the country, allowing small farmers to quickly generate high-quality crops. Currently, La Finca has relationships with over 2,000 farming families across Colombia through various co-ops that comprise its land package. La Finca also has a partnership with the largest university in Colombia, Universidad Nacional de Colombia, to develop seed strains that improve the yield of biomass and flower while shortening crop cycles. It has also partnered with Universidad Distrital Francisco Jose de Caldas, which focuses on the educational aspects of cannabis cultivation. The university provides distance education as well as in-class instruction to educate farmers on cannabis crops, ensuring they are able to produce high-quality crops. La Finca currently has several manufacturing relationships and $2.5-million working capital available to expand its operations. The company has a manufacturing agreement for licensed cosmetic products under the La Finca brand. These products are licensed through the Instituto Nacional de Vigilancia de Medicamento (INVIMA) which is Colombia’s equivalent to the U.S. Food and Drug Administration. The company is heavily involved with INVIMA ensuring compliance with all regulations and health requirements. Colombia is located close to the equator and boasts a 12-hour sun cycle that occurs year round, allowing for harvesting to occur 365 days a year (1). The mountainous geography of Colombia provides different thermal floors which allow for cultivation to occur in multiple climates, simultaneously. Colombia also has many free-trade agreements that will allow for cost-effective export of cannabis products around the world. The company believes La Finca is particularly well positioned in a country that is quickly adapting cannabis regulations, thus providing an extremely lucrative investment opportunity for both short- and long-term growth. The company will acquire La Finca for $13.5-million in a combination of cash and common shares of the company to be determined upon execution of the definitive agreement. All stock issued will be subject to a 36-month phased lock-up period. Closing of the transactions contemplated by the LOI are subject to regulatory approval. Chemesis International Inc. intends to enter the recreational and medical cannabis market in Canada. The Company is reviewing possible joint ventures, agreements or acquisitions in distribution, manufacturing, and product development spaces. Chemesis intends on leveraging its assets, brands and management expertise to gain market share in Canada. Chemesis is presently performing due diligence on fully licensed and operational cannabis companies in Canada. Canada has significant opportunity in both recreational and medical markets, with the Canadian cannabis market expected to generate up to $7.17-billion in 2019. The company sees major opportunities in Canada from high-quality manufacturing to brands that have developed a strong presence in the market. Chemesis aims to introduce Canadian consumers to its portfolio of brands which includes California Sap, the company’s flagship brand. 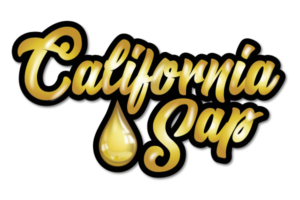 California Sap has been recognized in California since 2012, with 25 gold rankings for best CO2, best topical, best product, best concentrate, best cartridge, highest terpene and more. “The company is looking at multiple opportunities in Canada that will allow us to enter the market and gain a strong presence with minimal regulatory hurdles,” said chief executive officer Edgar Montero. “Chemesis is only evaluating businesses that have met regulatory and compliance standards. This allows the company to enter into the market with our assets, and expertise without unnecessary delay. The introduction of California Sap and our other brands will allow Canadians the ability to purchase premium brands, that are extremely accomplished in California. As we continue to execute our business plan, Chemesis will look for acquisitions and partnerships that bring growth and shareholder value. Chemesis International Inc. has signed a definitive agreement, providing a managed strip service agreement enabling Chemesis to produce QuickStrips infused with cannabis oils. RDT’s innovative QuickStrip is an easy-to-use, safe and effective oral fast-dissolving drug delivery system, developed in conjunction with McMaster University through the renowned Adronov Research Group, which provides accurate dosing and potency. Under the terms of the agreement, Chemesis will receive rights to produce, distribute and sell QuickStrip products, with rights for cannabis markets in California. With Chemesis’s state-of-the-art facility, the company believes this partnership with RDT will further strengthen its position in the California cannabis market, by allowing the company to use a convenient drug delivery system that can target a variety of consumers and also allow them to use cannabis products in a new way. The company will continue to position itself to capitalize in this growing market with innovative and effective products. 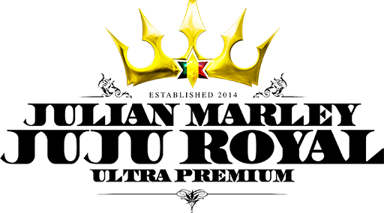 Chemesis International Inc. has reached a fulfilment and distribution agreement for the ultrapremium Julian Marley JuJu Royal brand. The packaging, fulfilment and distribution will be for all of JuJu Royal’s Southern California operations. This highly sought-after brand consists of carefully crafted, quality cannabis products that will be handled in the company’s Desert Zen facility, based in Cathedral City, Calif. These products meet Julian Marley’s demanding standards and are currently being sold in multiple states. The catalogue of products includes a variety of cannabis products and signature strains exclusive to JuJu Royal. Chemesis International Inc. announced that it will be entering into the cannabis edibles category. Chemesis intends to use its existing facilities and licenses to streamline its entry into the expanding edibles market, providing services for businesses that need manufacturing, packaging, and distribution while maintaining compliance. Recent changes in California regulations require companies to ensure they are selling products with clean tested cannabis while ensuring all processes are fully compliant to state and municipal laws. Businesses are eager to find companies that are able to operate in California’s legal framework. The market for cannabis in California is estimated to hit $7.7 billion by 20211. Chemesis believes it has assets and services that are key for businesses to thrive in a compliant marketplace. Chemesis will be using the recently acquired Desert Zen Fulfillment facility for this edibles expansion and anticipates products to be launched in Q1 2019. Chemesis intends to enter the edible market with gummies, chews, chocolates, brownies, cookies, and other edibles. These products will be manufactured for Chemesis’ own brands as well as white labelling for other businesses. Chemesis International Inc. has appointed Eli Dusenbury as the company’s new chief financial officer and has granted options. Mr. Dusenbury has extensive experience in public accounting providing services to both public and private sector clients reporting in Canada and in the U.S., over a broad range of industries, including but not limited to technology, agriculture, engineering, mining & exploration, manufacturing and financing. Mr. Dusenbury obtained his Chartered Professional Accountant designation in 2011, and holds a BBA in business and accounting from Capilano University. The Company wishes to thank Mr. Lee for his service as CFO during the Company’s growth and wishes him the best in his future endeavours. The Company announces that on September 14, 2018 it has granted an aggregate of 150,000 incentive stock options to a consultant of the Company. The options are exercisable at $1.00 per share for a one-year term. The Company announces an additional stock option grant of 200,000 incentive stock options to an Officer of the Company. The options are exercisable at $1.74 CAD for a five-year term. There are also no vesting provisions for either option grant other than a four-month hold period from the date of the grant in accordance with the Company’s Stock Option Plan. Chemesis International Inc. announce it will be entering into the cannabis infused beverages market. Chemesis will leverage licences and assets it has recently acquired to build out production, storage, and a transportation network for its cannabis infused beverages. The cannabis beverages category includes sports drinks, teas, sodas, coffees, shots, water, and other health and wellness beverages. With cannabis sales projected to triple from approximately $5.4 billion USD in 2015, to $16 billion USD in 2020, according to a market research, Chemesis sees a significant growing opportunity in the beverages market1. Entering into the cannabis beverages market is the next logical step for the Company, as its current facilities and licenses allow this to be accomplished in a relatively short period of time. The Company can accomplish this by leveraging its state licenses for production, distribution, and transportation. Chemesis intends to provide white labelling services for companies, as well as introducing beverages for its own brands. Chemesis will be using the recently acquired Desert Zen Fulfillment facility for this expansion and anticipates products to be launched in Q1 2019. Chemesis International Inc. has opened its wholly owned subsidiary, Chemesis Latin America. Through this subsidiary, the company is exploring and completing advanced due diligence on opportunities for cultivation, production and export from the Latin American market. The company believes it will be able to quickly gain market share in Latin America through the use of its networks and existing expertise. Chemesis’s long-term growth strategy is focused on international expansion. Globally, regulation changes are occurring for both medical and recreational cannabis, and as these changes occur, Chemesis intends to be a first mover by leveraging its existing networks and developing brands suited for the Latin American. Mexico is a great example of these changes, as president-elect Andres Manuel Lopez Obrador, who has the job of overseeing rule making and regulations around Mexico’s new marijuana law, unveiled a plan to change the country’s drug strategy in several big ways. Colombia, another frontrunner in the Latin American cannabis market, is rapidly growing its capabilities. The government is hoping to grow up to 40.5 tons of cannabis per year, which would account for approximately 44 per cent of the licences issued globally. Colombia is estimated to capture as much as one-fifth of the global market, a value of $40-billion a year. The company plans to announce the specific countries and jurisdictions where it will be operating in the near future. Chemesis International Inc. has entered into a definitive agreement to acquire 80 per cent of Natural Ventures PR LLC via its subsidiary Chemesis PR, a 100-per-cent-Puerto Rican company. The agreement amongst the parties has been submitted to the Puerto Rico Medical Cannabis Board for approval as per required by its regulatory framework. Natural Ventures is a seed to sale, medical cannabis company based in Caguas, Puerto Rico, a United States territory. Natural Ventures represents a significant opportunity that will catapult Chemesis into position as a leader in both medical and recreational cannabis cultivation and manufacturing. Natural Ventures has been operational since early 2017 and currently is expanding to meet its growing patient demand. Natural Ventures is licensed to cultivate 100,000 square feet of cannabis and has 35,000 square ft of manufacturing floor space for high-quality cannabis products. It is currently producing solvent and carbon-dioxide-based extraction for its oil-based products, and it also is producing edibles and other cannabis products. Puerto Rico legalized medical cannabis for qualifying health conditions in 2015 and permits the use of medical cannabis derivatives only (capsules, extractions, lotions, patches, edibles, flower and oils). Currently, there are 18 preapproved health conditions including HIV, cancer, multiple sclerosis, migraines, anxiety and epilepsy that are eligible to be treated with medical cannabis. Chemesis is poised to meet demand as the island continues to expand the number of qualifying conditions, and more patients receive permits. “The acquisition of Natural Ventures is a very significant landmark for Chemesis,” said chief executive officer of Chemesis, Edgar Montero. “This acquisition gives the company access to a new consumer base as well as additional revenue opportunities. The operations in Puerto Rico unlock the ability to serve a large population for a variety of medical conditions, while being able to control costs and quality. The addition of Natural Ventures into the Chemesis family fits into our business model and growth strategy, as it will not only provide a strong benefit to our revenue stream but will unlock other opportunities in the global marketplace that are extremely important,” said Mr. Montero. In exchange for an 80-per-cent interest in the capital stock of Natural Ventures PR LLC, the company will pay $2.25-million (U.S.) cash and $1,682,085 (U.S.) of stock valued at $1 (Canadian) per common share, subject to a 36-month phased lockup. Closing is subject to Puerto Rico Medical Cannabis Board approval which is anticipated within 30 days. The company has also agreed to make a convertible loan or capital contribution to Natural Ventures in the aggregate amount of $750,000 (U.S.) on an as-needed basis for expansion purposes. Chemesis International Inc. has entered into and closed a definitive agreement to acquire 100 per cent of Desert Zen, a state-compliant, recreational and medicinal cannabis manufacturing, distribution and transportation company based in Cathedral City, Calif. This acquisition will allow Chemesis to increase its resources and significantly expand its foothold in the rapidly growing California market. Desert Zen’s current facility is licensed under state and local laws to manufacture, package, distribute and transport quality cannabis products for recreational and medicinal uses. Desert Zen has a large existing network throughout the state of California that currently serves farmers and dispensaries, as well as other manufacturers, distributors and transporters. 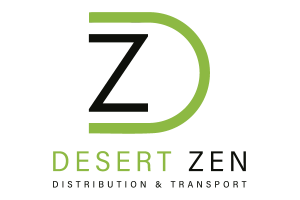 As a fully compliant cannabis manufacturer, distributor and transporter working with other fully compliant vendors, Desert Zen is able to track all products, monitor safety and ensure that all seed-to-sale laws are followed throughout the entire supply chain. 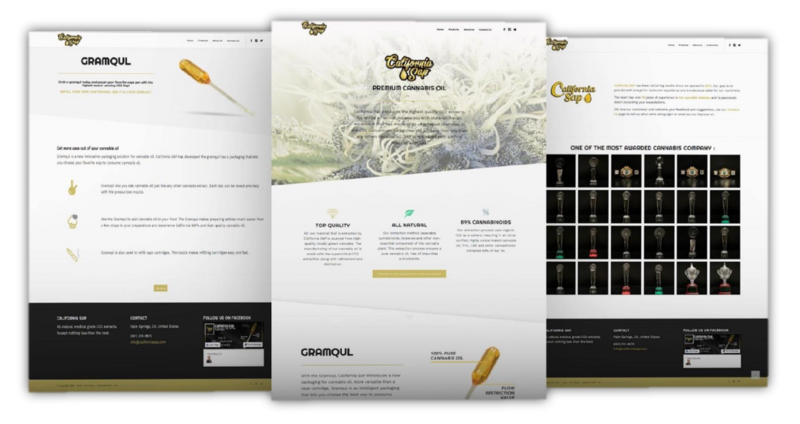 Desert Zen’s catalogue of products includes a variety of cannabis products and will also include Chemesis’s flagship brand of California sap premium cannabis oils. “State-wide compliance at each regulatory level in California requires substantial effort, and Chemesis is pleased to continue its growth as one of the few fully compliant first movers in the California market,” said Chemesis chief executive officer Edgar Montero. “Chemesis now has greater flexibility in its operations and can serve its customers more fully and efficiently. In addition, the acquisition of Desert Zen brings new product manufacturing, distribution and transportation opportunities to Chemesis’s considerable oil extraction capabilities. Chemesis International is acquiring a 100-per-cent interest in Desert Zen in exchange for $500,000 (U.S.) of the company’s common stock at a deemed value of $1 (Canadian) per share, subject to a 36-month phased leakout restriction. The U.S will legalize cannabis eventually. The cannabis market is growing really fast. Some of the cannabis stocks hit all-time high. #cannabis companies have a unique opportunity to gain a head start on foreign competition. What will international expansion mean for these businesses and how can they ensure long-term success? I stand resolutely against the legalization of cannabis for recreational use in Canada. Users of our roads will be less safe, work site accidents will grow and low income families will be forced to raise their families in the stench of marijuana smoke from neighbours. A new low. A lot of cannabis stocks are trading at a very high valuation. People has high expectation about it. TLRY is a 10 billion market cap company and is making no profit. Cannabis stores across Canada face shortages. Canadians the age of majority in their province can grow up to four plants a household, yet there is no legal means to obtain seeds. Consumers claim to prefer legal to illegal cannabis – and lower legal prices hit illegal sales more than lower illegal prices hit legal sales. There is news saying that Coca-Cola want to produce cannabis drinks. If it is true, it will be a big news. 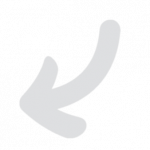 It go back down again. That was crazy move. I don’t like the sudden move like these. I hope it will grow slowly and healthy.